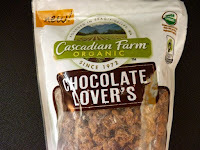 Chocolate Lover's - "Premium Organic Chocolate Granola"
Today was Day #3 of Chocolate, Grains and Grasses Theme Week. 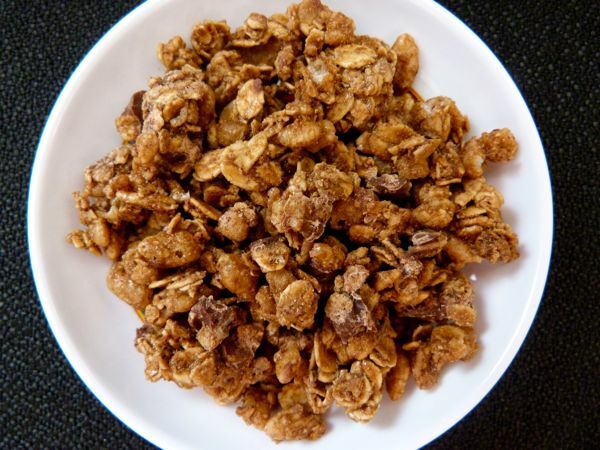 With a theme week like this, chocolate cereal seemed like a good fit. 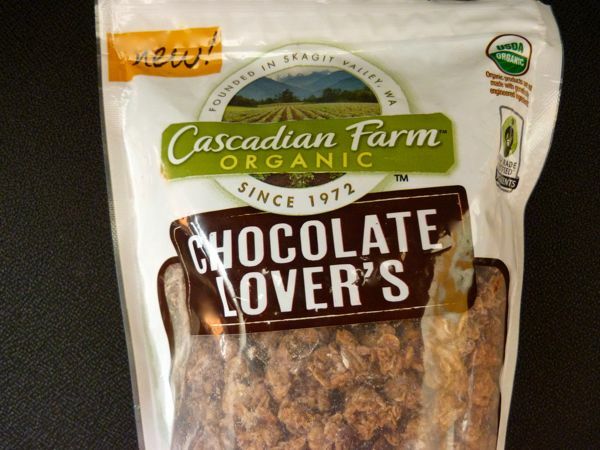 And, so, the featured cereal today was: Cascadian Farm Organic Chocolate Lover's Chocolate Granola. 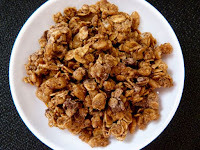 This Chocolate Lover's granola tasted fresh and crunchy with a uniform chocolate flavor; and it was sweet, without being too sweet. *Those that follow this blog may know that I don't eat wheat or gluten. Therefore I appreciate labeling with advisories like this. Depending on what's listed as included (or what might be included) on the label, I can decide whether I want to try a small taste or not.